Home A: News Will commissioners’ 9-1-1 fee plan flatline? Will commissioners’ 9-1-1 fee plan flatline? 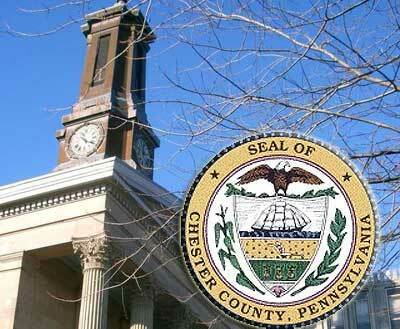 WEST CHESTER — A proposal to apply a tourniquet of sorts to the county’s hemorrhaging 9-1-1 costs has generated cries of anguish from some municipal officials, prompting the Chester County commissioners to delay a vote. In an effort to defray about $2.6 million of the county’s 9-1-1 expenses, the three commissioners discussed a per-capita fee on the county’s 73 municipalities for the first time publicly at their sunshine meeting today. Local officials were notified by letter of the possible new charge a week ago and quickly mobilized against it. One of several objections made by Richard Hicks, an East Marlborough Township Supervisor who also heads the Chester County Association of Township Officials (CCATO), involved the timing of the proposal, which could have been voted on as early as Thursday. He pointed out that municipalities needed more than a week to “determine the budget impact” of the fee, which is $5.20 per person. Farrell said from 1975 to 1993 the county collected a cost-recovery fee for emergency services. The county imposed a three-year moratorium on the fee in 1993 so that municipalities could purchase radios and then never reinstated it. He said expenses such as the $10 million public safety training campus in South Coatesville and a $75 million outlay for new equipment must be added to the system’s operating costs, which presently exceed $5 million a year and handle 800 to 900 calls a day. Commissioner Ryan Costello pointed out that many townships have millions of dollars in surplus funds collecting minimal interest, according to a list of year-end balances for 2010, the latest figures available from the state Department of Community and Economic Development. He reasoned that by using money that has already been provided by taxpayers, the aggregate burden will be reduced. Otherwise, taxpayers will have to pay more in county taxes when township revenue is available, he said. The 2010 figures, which vary from nearly $58 million for Tredyffrin Township to a deficit of $780,000 for Lower Oxford Township, sparked criticism from many of the more than a dozen municipal representatives who addressed the commissioners. Some said the money had already been spent while others said it was earmarked for critical capital needs. Echoing a common theme, John Auerbach, a Franklin Township supervisor, likened the fee to “kicking the can down the road.” He said forcing townships to pay for services that are controlled by the county creates an environment that is not conducive to accountability. Farrell countered that the county has reduced spending by $56 million over the past four years and is simply looking for equitable ways to continue to be frugal. The discussion about surpluses prompted Michael A. Moyer, an East Coventry Township supervisor, to ask whether the county had one. Costello replied that the county has a surplus of about $60 million, but he added that the county has to keep that fund from falling below 10 percent of the budget to avoid jeopardizing the county’s AAA bond rating.